Serena Williams received three code violations, including a game penalty for verbal abuse, from chair umpire Carlos Ramos in the final, where she was beaten by Japan’s Naomi Osaka 6-2, 6-4. 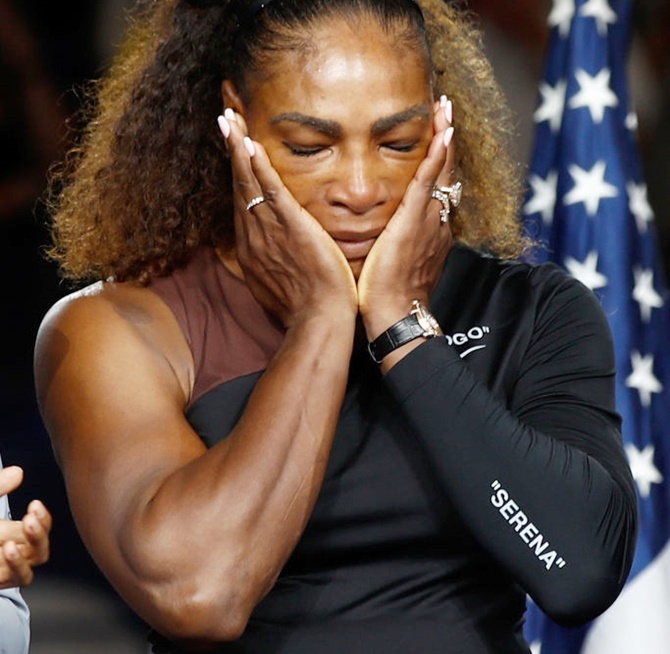 Osaka's coach Sascha Bajin, a former hitting partner of Williams, wrote on Twitter, "Thank you @serenawilliams total class at the speech and you truly are the goat." Andy Roddick: Emotional first take by me. common sense should’ve prevailed in my opinion. He’s within his power to make that call. I’ve seen an umpire borderline coach a player up,and another dock a game for being called a thief in same tourney. There needs to be some continuity in the future Worst refereeing I’ve ever seen ...... the worst !!! James Blake: I will admit I have said worse and not gotten penalized. And I’ve also been given a “soft warning” by the ump where they tell you knock it off or I will have to give you a violation. He should have at least given her that courtesy. Sad to mar a well played final that way." Two-time major winner and former world number one Victoria Azarenka: "If it was men's match, this wouldn't happen like this. It just wouldn't." French WTA player Kristina Mladenovic: "Serena is a champion & doesn't deserve it -- the same way that Naomi is a champion & doesn't deserve this atmosphere for her first GS title!" British player Liam Broady: "I also agree with what Patrick said that pretty much all players receive coaching on court. The first warning for me is the most questionable one. Also hard that coaching at WTAs and qualies of slams is okay but not MD slams." Not the first time Serena clashed with US Open officials! Ready for big clash of styles in US Open men's final?